Making breakfast for a large group or meal prepping for the week? 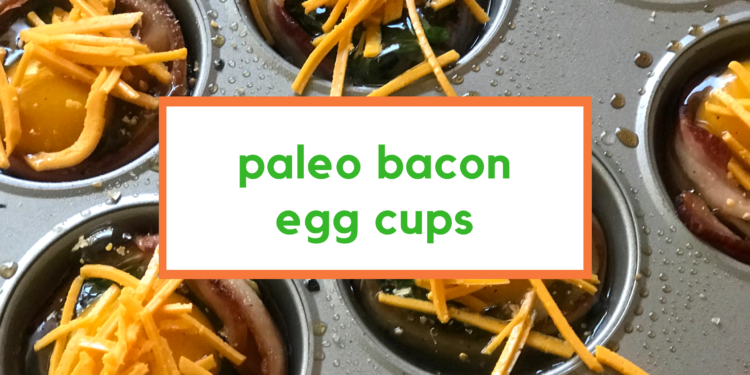 Then try making these paleo bacon egg cups – they are like mini omelets that can be customized per person, but no standing over the stove cooking each individually. other vegetables of your choice chopped. Line each muffin cup with the bacon and set aside. Crack eggs you’ll be using for one egg cup in bowl and whisk until combined. Add vegetables, salt and pepper and stir in to combine. Pour all egg mixture into egg cup and repeat for each egg cup that will be used. Place pan into a preheated 375 degree oven and bake for 12 to 16 minutes. Remove and serve.